Patrick Roach has already introduced us to the first set of software engineering Greats features in the Release! card game, and they already make up a strong hand. Now that the team at Inedo have interviewed everyone who's lending their face and support, Patrick introduces the rest of the roster, covering everyone from Kathy Sierra to Gene Kim, and points out just how they've contributed to our field. 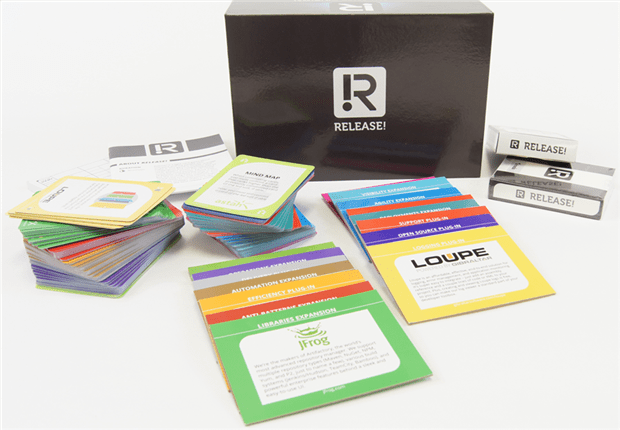 Last time we talked a bit about Release!, a card game themed around software development that was created by Inedo and funded through Kickstarter. Specifically, we spent some time introducing the bloggers, speakers, and authors who helped support the project by both talking it up, and volunteering their faces to be the actual Face Cards of the game. And more importantly, by being instrumental in the evolution of software development into what we know and love (mostly!) today. We went over five of the twelve Face Cards, reviewing some of their contributions to the field, and of course, their thoughts on games and gaming. This time we’ll round up the rest! Behavior-Driven Development is literally Dan’s brainchild. It’s an agile approach that pushes teams to deliver the parts of software that matter by focusing on the behavior of the project stakeholders. His first experience of software was the thrill of typing in a listing from a ZX Spectrum magazine and seeing a game appear on the computer. His first experience of programming was trying to figure out why that game didn’t run. Now he’s regarded as a leader in Agile, in no small part because of his time speaking and writing about BDD, Deliberate Discovery, and some of the seeds of Continuous Delivery and DevOps. He is a proponent of word games like Scrabble or Boggle, and the less structured (but probably more enjoyable) Made-up-word Scrabble. This is where you have to play a made-up word and provide a definition, and you get the points if everyone at the table thinks it’s a good definition. Nice one, Dan! 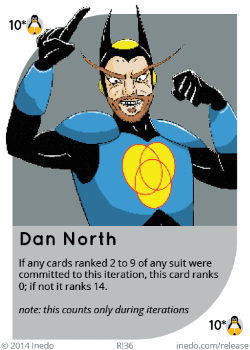 On his card Dan appears as a supervillain with a Venn diagram emblazoned across his chest. According to him, the real Dan has a few more circles, but is not above some constructive villainy. Kenji is an internationally celebrated author and speaker, whose work in the Agile community has changed the way we look at modeling, user requirements and more. While reading XP by Kent Beck, Kenji found a particular sentence of note, ‘when you release, you open a good bottle of champagne with the customer.‘ This opened his eyes to the social side of development, which in turn informed both his development process, and the aims of his speaking and writing. When Kenji gets his team together for a retreat or team building, he prefers activities in the great outdoors, such as hiking in the mountains. But when you can corner him for a game, he leans towards abstract strategy, such as Shoji or Chess. Kenji is a pacifist, so he found our illustration of him as a swift, caped swordsman a bit of a stretch, but at least he seemed to like the fashion choices. Patrick is the one of the organizers of DevOpdays Conferences, and is a frequent presenter on a number of development topics. He has a special expertise in agile and, of course, DevOps. As a kid, Patrick bought books with game programs in them that he had to manually enter in order to play. After a while he began to develop his own, and later in his life this would expand to a broader IT interest. When he meets with his colleagues he prefers to go out for food and drinks at a conference, but he isn’t adverse to a good game, especially the simple ones. If he could only play one game for the rest of his life? 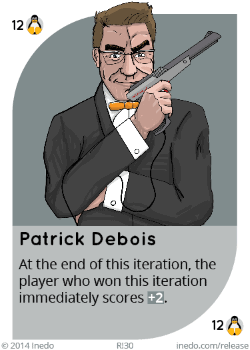 We reimagined Patrick as James Bond type, wielding an NES Zapper. He is pretty humble about the comparison, but does admit he can keep his cool in pretty heated situations. Elisabeth is a speaker and author who has been a big part of the development community. Her main focuses are test automation, exploratory testing, and agile development. She learned basic on a TRS-80 alongside her father. Her first use of her new skills was scan the code of a classic game called Hammurabi. With her new insight, she figured out a perfect strategy, won every time, and soon bored herself. So she turned to writing her own games instead. 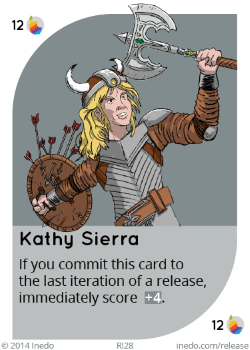 Now, years later, she’s a leader in agile testing but still finds time for games. She loves using board games for team building, and Settlers of Catan in particular holds a special place in her heart as having a great mix of strategy, luck, cooperation, and competition. So, we feel pretty good about her Indiana Jones style illustration. Choosing Kathy to be part of Release! was a no brainer, she has been enmeshed in games and development for decades. 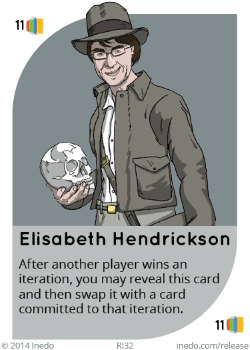 She also is the co-author of the Head First series of books which reimagined how to teach developers. In the late 80’s Kathy wanted to make games as tools for learning, but didn’t have the budget. Never one to balk at a challenge she simply programed them herself. We suppose it was a little more complicated than that, but her results speak for themselves. Always engaging and always educational, her games eventually led her to UCLA where she taught Interaction Design. We asked all of our Face Cards what games they like to play with their team. Kathy hands-down had our favorite answer, by bringing up one of our favorite games. 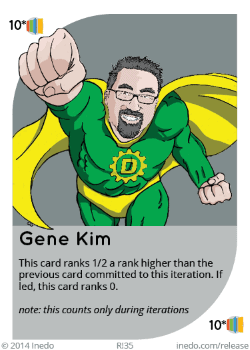 Gene Kim is a big name in the DevOps movement – his book, The Phoenix Project, took a novel approach to software (sorry), and was definitely a favorite of the whole Release! team. Gene got his start at Sun Microsystems after being hired at a science fair by the famous Dr. Rob Kolstad. Plus it didn’t hurt that his parents brought home a TRS-80 on which Gene played games like Zork, logged into BBSes, and programmed games from books. As he moved forward in his career, he noticed a trend in organizations, where Dev, Test, Ops and Infosec seemed to work against each other, ultimately failing the organizations they served. When he was exposed to the concepts of DevOps he realized that this was the solution to the problems he had been seeing. He takes a bit of a serious approach to team building with techniques like Patrick Lencioni’s “personal vulnerability exercise.” But, when he can find the time in his schedule for some gaming he prefers competitive Tetris or even Squad Leader. Gojko is an award winning author, several times over, and for over a decade has brought his experience and innovations to bear with a slew of books, and articles. When he was 6 years old his father brought home a now classic Commodore 64 and, as kids do, Gojko claimed the device for himself. His next step was to teach himself some basic programing from a manual written solely in German. Young Gojko didn’t understand a word of it of course, but he was pretty good at typing over listings. He had led a team that had all the technical skills people write about, but the company ran out of money because they weren’t good at product management. That experience put him on the road to learning and rebuilding. When it comes to gaming, Gojko admits to having wasted a lot of time on one of our favorites. Civilization, a grueling and oddly fulfilling game about founding your own ….well…civilization. 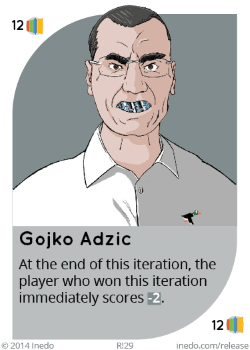 We paired Gojko’s illustration with Patrick Debois, making him a steel jawed Bond-esque villain. How did Gojko feel it stacks up against the real him? As much as it pains me to admit it, you don’t have to love board games to leave your mark on software development. In fact, you notice several of these face cards don’t share my enthusiasm for gaming. What you have to be is engaging, and, correspondingly, willing to be engaged. All of these people combined exceptional thought with exceptional communication. Their ideas explore a space that imagines our industry as a community, not a disparate scattering of companies and departments. In its own very very small way, that what Release! attempts to do as well. The game is not going to train anyone create software or change the way they develop, the theme is a light one. It does get people sitting down together, and it did get a ton of people to back, play, and start forming a little community. At the end of the day, maybe those connections will spark a new set of speakers, thinkers, and programmers to be the faces of the industry in the years to come. Patrick Roach is web developer at Inedo, the lead game designer for Release, and, perhaps most importantly, a 17th-level wizard. Unsurprisingly he spends an unreasonable amount of time playing games, a hobby which had bled into his professional life as he is always striving to understand how the principles of games, gaming, and gamification can intersect with software development, technology, and everyday life.